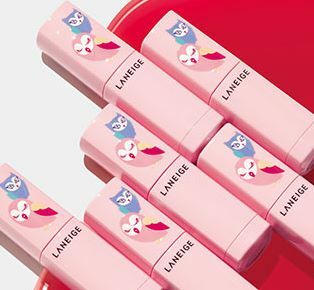 Laneige Lucky Make-up Specials: A vibrant make-up that brightens the face and creates a vibrant, youthful skin with BB Cushion Cream, a lash that shines like a doll's long eyelashes. 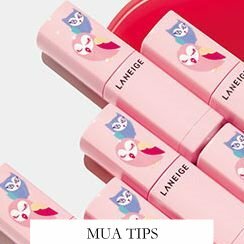 Is LANEIGE featured lucky makeup, I hope you have to bear in mind! 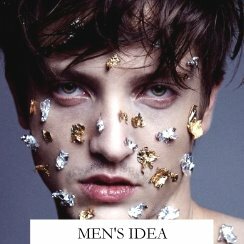 Young skin & energetic lips: Recently, the most representative of the popular base makeup is like nothing painted the same pseudo-makeup makeup. Want to create a compact moist Moisturizing the skin, the end of makeup must be fit the skin. BB Cushion Cream of the makeup sense of thin, super fit the skin at the same time, leaving the skin texture instantly invisible. BB Cushion Cream SPF 50 + PA + + + can be perfect cover your eyes, mouth and other skin defects such as fine lines. 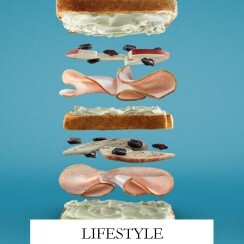 The ultimate concealer stickers, do not have to use makeup before the milk or foundation, as long as a shot, you can shoot as if the natural beauty of natural beauty. And Hydra lips of the stunning lips through the crystal to create exquisite lips. The use of stunning crystal lips show a sense of vivid color and luster glossy lips. Does not require special skills, but also to complete the level of professional makeup artist K-Beauty makeup. Energetic Eyebrow & amp; Multi-Colors Special Makeup: This fall, let's take a little more effort on the silhouette. First of all, thick thick word eyebrow will pop up. Eyebrow Cushion Cara is able to naturally dyed eyebrows into two colors of the liquid air cushion, so that the heavy eyebrows without losing the sense of energy. It also comes with a double brush head, can be dyed delicate eyebrows, show bright eyebrows lines. In the light through the skin, the use of distributed faint pearl sense Multi Color Compact, can further highlight the white feeling. Use the enclosed blush brush to sweep the eye, around the cheekbones. Gently connect the eyelids and inner eyelid, touch the following parts of the cheekbones, you can create a faint light effect, so that the contours of the face more three-dimensional. A pearl sense of eye cheek color plate can highlight the cheeks of the apple muscle, showing more beautiful skin, emphasizing the lovely girl-like feeling. Look finish must be thin: whether it is liquid foundation, or powder, heavy looking finish will increase the age of at least 5 years old. 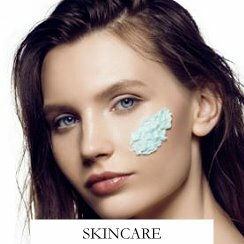 Want to look younger, to remember to just take a layer of skin cream on the skin cream can be, super-thin through the skin, while modifying the small skin flaws, like makeup is not the perfect natural makeup the same. Three-dimensional makeup of the eyebrow: a clear line of eyebrows can make people look at least young 3 to 4 years old, the focus is on the first half of the eyebrow lines to draw a clear slash. With eyebrow pencil outline natural eyebrows, in accordance with the hair, hair color selection eyebrow color, with straight, full of the word eyebrows, so that contour more three-dimensional, natural. Excessive pearlescent old: flashing in the corner of the eye, cheeks, forehead and other pearl of the face will only make people look a bit fierce, a little older. As little as possible with a pearl effect of light, only in the bright finish when finishing touch, so makeup sense more dazzling, young.